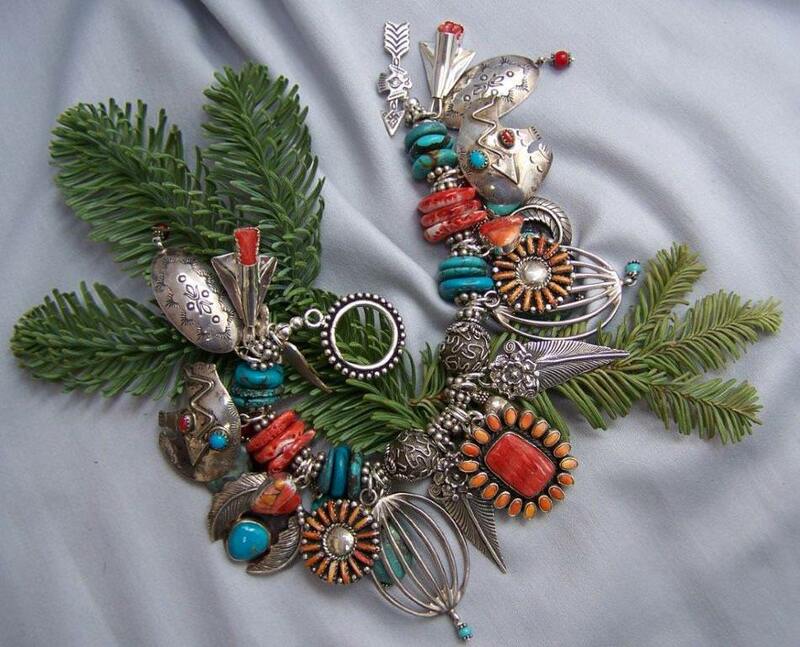 This bracelet reminds me of true holiday bounty. 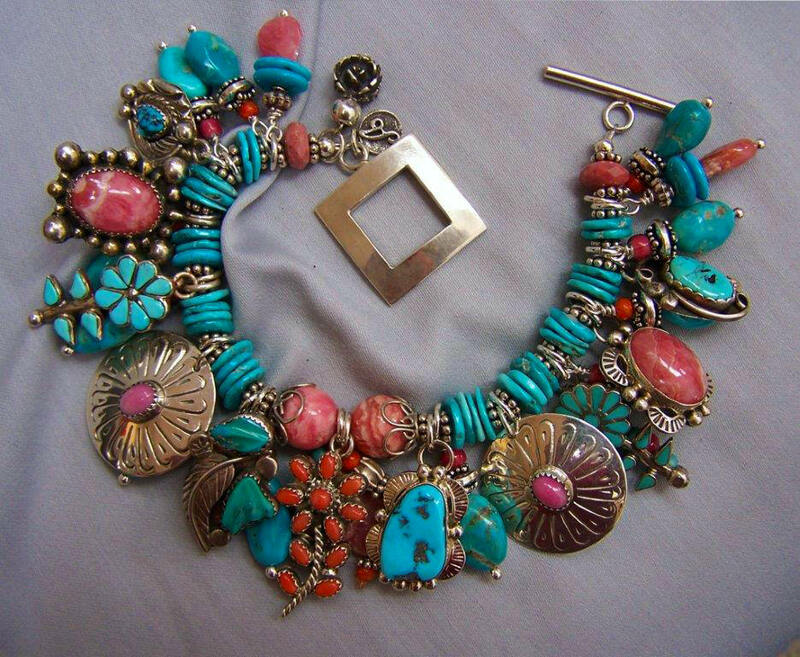 It is rich in color, filled with an abundance of elegant charms, and just a happy bit of beauty to wear and enjoy. 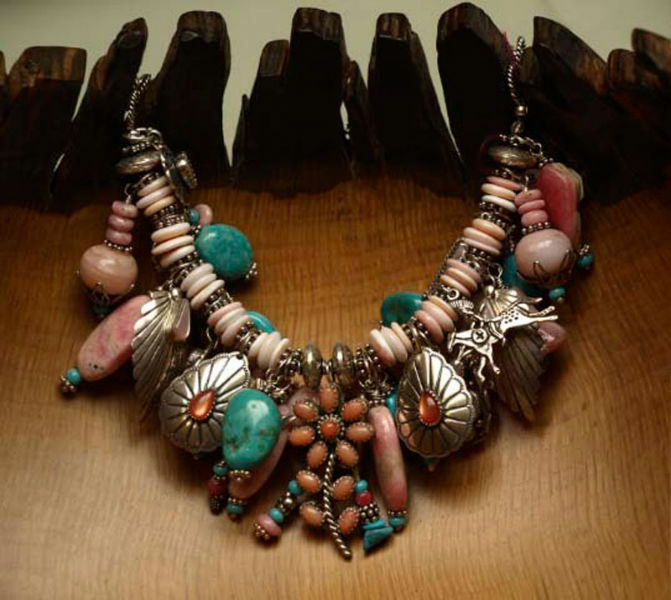 The focal charm is made with natural spiny oyster with 18 little stones around a central large center. 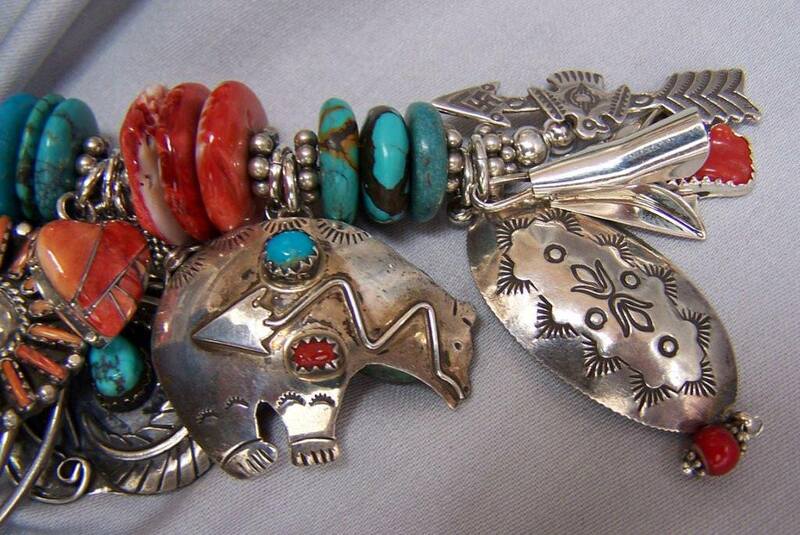 It comes from Santa Fe artisan Dan Dodson and it is marked on the back. 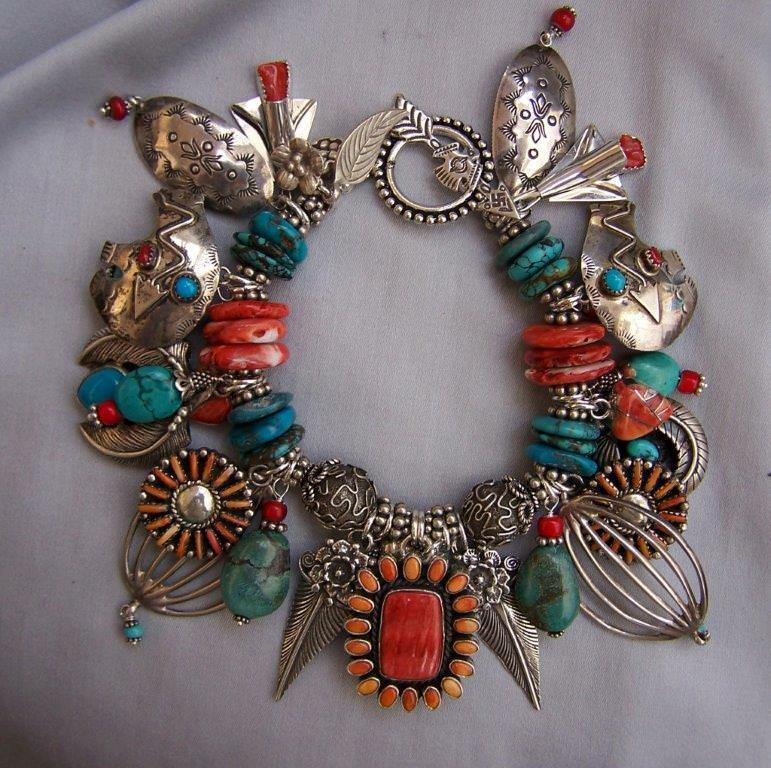 There are two sterling silver flowered feathers flanking the focal charm, 2 smaller spiny oyster charms with radiant snake eye stones, 2 larger sterling openwork charms with little blue dangles, 2 lovely old sterling charms with silver leafs and turquoise stones 2 fine handmade stamped sterling heartline bear charms with both turquoise and coral stones, 2 hand patterned sterling concho charms with little red dangles and 2 sterling and oyster squash blossom style charms. 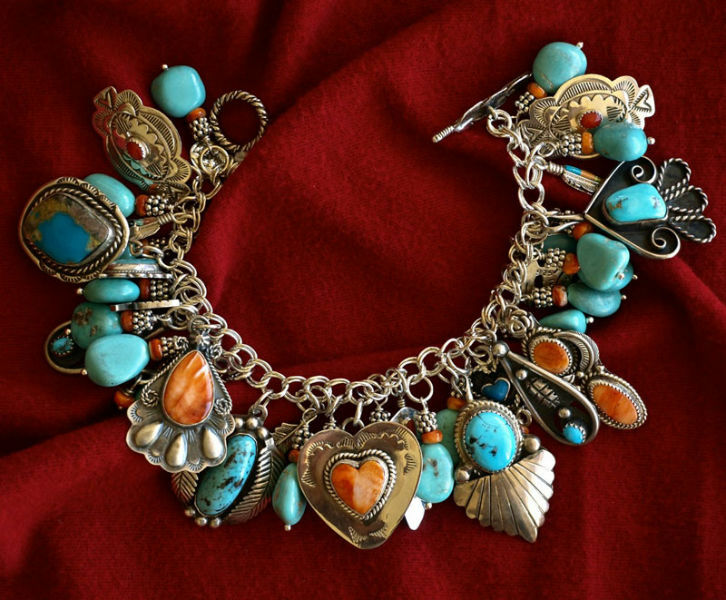 There are a few small charms, 2 oyster hearts, 2 Navajo bench made silver beads, a few turquoise nugget charms, and all that makes for a very full, pretty bracelet. 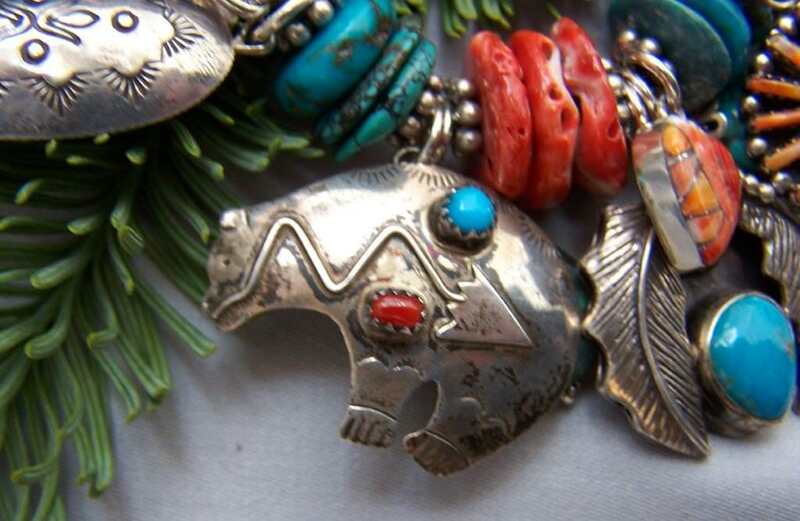 The band has two patterned sterling beads around the focal and the rest of the band is Campitos turquoise and spiny oyster. 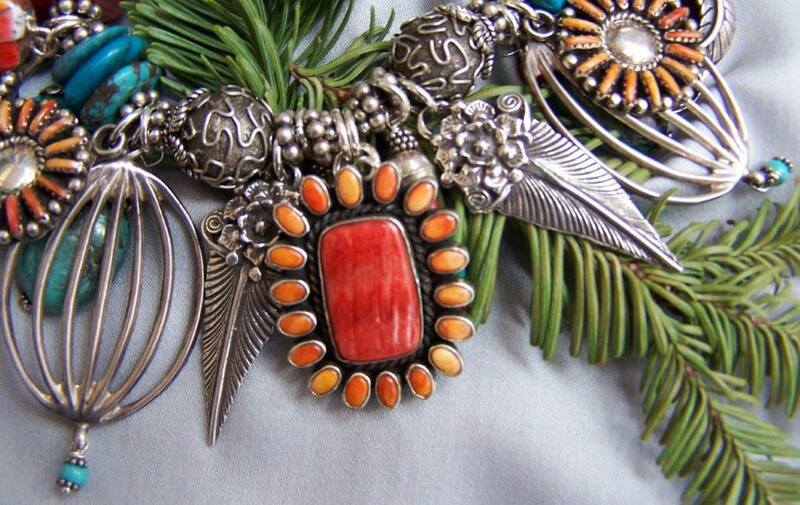 The clasp is a large sterling toggle and the toggle bar is an arrow with a little Thunderbird on it. 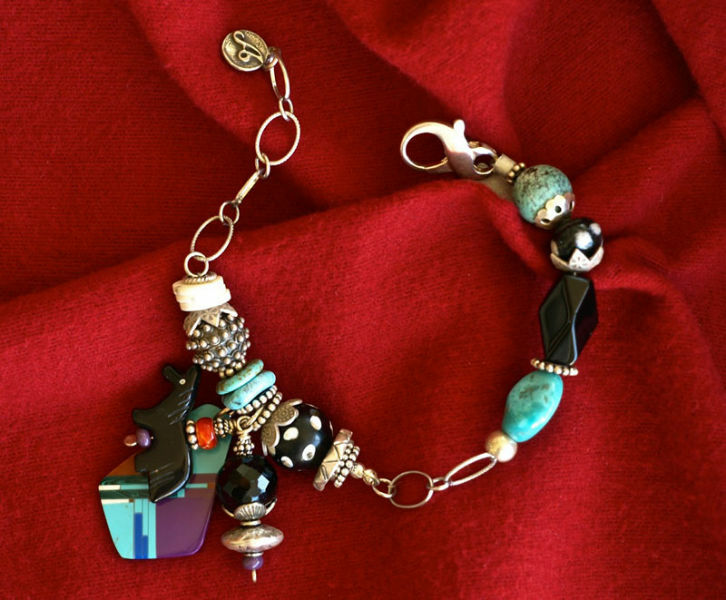 Some of the old charms have a nice patina I haven’t disturbed, some are marked, and all just add to the elegance of this 7.5″ to 8″ holiday bracelet. Enjoy!